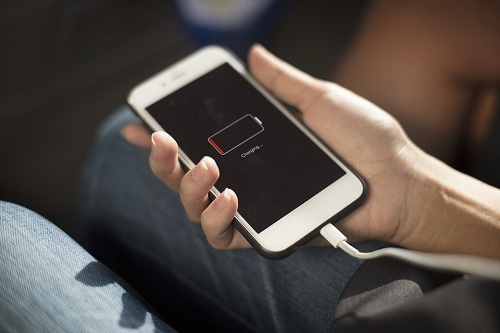 10 Tips: How to Increase Your Phone's Battery Life - Mobile-Centers: laptop reviews,smart phone reviews,camera review,latest technology news. If you're worried about the battery capacity of your smartphone, even after fully charging your phone's battery does not work properly or does not back up as much as you want. So through these important tips you can increase its battery life. When you get out from the house in the morning, they all get out completely by charging their smartphone. And until you return home, you think the battery of your smartphone will accompany you, but before you get home, the battery of your smartphone leaves with you and closes. And after that you are cut off from others, neither can anyone call or give any message. According to our research, it is imperative to get angry. But do not panic, we have brought some tips for you, through which you can increase the battery capacity of your smartphone, and run it for a long time after charging it once. Smartphone also gets more exposure to your phone's charging quite quickly, if you keep your smartphone's brightness low or automatic, you will notice a lot of difference, in the first and after. To prevent the phone from discharging early, you set the brightness to the lowest level in the phone or set the brightness level to auto-adjust mode, which will set itself light according to your need and illumination. Turn Off Features Without Need. Your smartphone has very attractive features such as Bluetooth, Wi-Fi, GPS, Hot Spot. Even when you do not use them, they also eliminate the battery of your phone, like if you have come out of the Wi-Fi campus, then turn off your Wi-Fi, otherwise it will take your phone's battery. Even when you are in a meeting, theater, hospital or elsewhere where you need to keep your phone silent, you do not keep your phone in vibration mode, even during this time you use ringtone mode, because on vibration mode your The phone consumes more battery And if you do so, you will automatically increase your battery capacity. Generality in smartphones: Two types of batteries are used. Lithium ion and nickel cadmium. The battery capacity of nickel cadmium goes down after every single charge, but it gives a long back-up once it is charged. 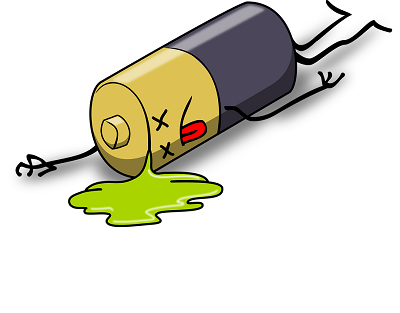 The lithium-ion battery has a longer life, but it has to be charged faster than the previous one. So it is very important to charge your smartphone's battery well. If you think that the battery will re-charge only when it's over, then do not do it, doing so puts more emphasis on the battery. Through this light you can also read the smartphone in out light. But do you know that this back also needs the battery as much as you have food or water? If you do some work on your phone by turning off your smartphone to back light, your battery capacity increases as much as you keep your phone's back light off. If you have started feeling that now your phone needs charging then avoid using the camera and the Internet, by pulling a picture through the flash, your phone's battery will end soon. Therefore, you should avoid as much as you can with its use. It's normal, but have you heard someone saying that "my phone's battery is draining"? And after this he is talking a few more minutes. Sometimes people get away with talking about phones by taking excuse of batteries. But if you want your battery capacity to be good, then reduce the time of your calls, and you will see that the battery of your phone itself is running for a long time. It is better to run your smartphone on 3G / dual-mode so that you can play your phone on GSM mode. Take a look at your phone's spikes and you can see that there are two quotes for different battery capacity here - normally 50 percent more for GSM use. The AMOLED screen costs less of your battery than the black background. It is clear that if you use mostly black background, your battery will be spent less and it will not need to charge you more quickly. Some people keep Wi-Fi, GPS and infrared etc. on their smartphones. If you close all these functions then you will notice a lot of changes in the battery case. Bluetooth-It is good to use it at work, but using it all the time your phone's battery capacity has increased. Closing Bluetooth will boost your smartphone's battery capacity. Do not use any moving or animated pictures in your smartphone's background, as well as do not use any video on your phone's background. It easily eliminates the battery of your smartphone.